3rd times the charm for Finn at Brooks PR! Check out all the great Brooks PR and State Meet action from the weekend!! Interview with the West Windsor-Plainsboro South Boys who ran a US#1 DMR at the Eastern State Champs with a 10:13.6!! NJ wins majority of the events and sets some top US times while they're at it. NJ Boys sweep all event golds. 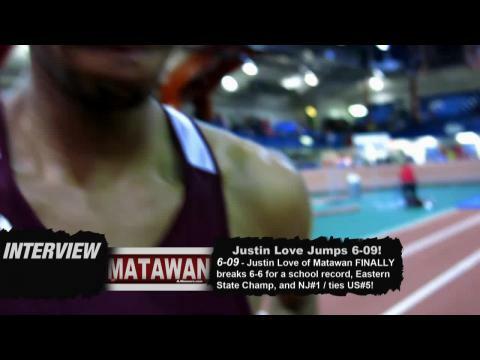 Justin Love of Matawan FINALLY breaks 6-6 and jumps out to 6-09 at Eastern State Champs for a personal best, NJ#1, tied US#5, School Record, and wins the event. 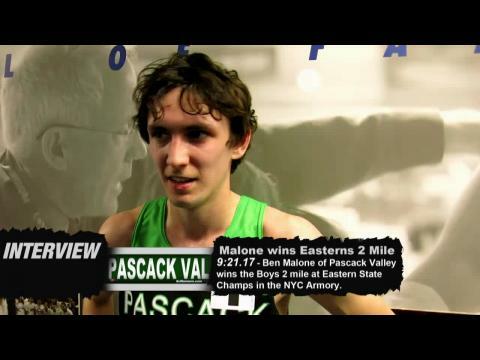 Ben Malone of Pascack Valley wins the boys 2 mile at Eastern State Champs. Live NJ updates from Easterns.